ConnectSport is working with the Sport for Development Coalition to create a monthly 'call for articles' around a particular theme. Throughout March 2019 articles will focus on ‘Sport and mental health'. 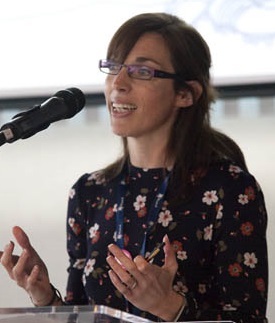 Here Hayley Jarvis, Head of Physical Activity for Mind, discusses the increasing importance of sport and physical activity in addressing mental health issues and increasing wellbeing in modern society. To submit an article, contact hello@connectsport.co.uk. Q. Hi Hayley, thanks for speaking to ConnectSport. What evidence is there to prove a direct link between physical activity and improved mental health? A. We all know that being physically active is good for the body, but increasingly we are becoming aware of the mental health benefits. Being physically active can reduce your risk of developing depression by up to 30% and is a vital tool in supporting and enabling mental health recovery and in tackling stigma and discrimination. Physical activity is so good for us that it is one of the first interventions that should be recommended by doctors when presenting with mild-moderate depression under NICE Guidelines. Whilst the evidence base is growing there is still need for further research into the impact on specific mental health diagnosis and the mechanisms that support improvements in mental health. There are challenges to the research with the impact of self- reported subjective mental health and physical activity levels although more controlled studies. - Reduced anxiety and happier moods: When you’re physically active your brain chemistry changes through the release of endorphins (often known as the ‘feelgood’ hormones), along with dopamine and serotonin which can calm anxiety and lift your mood. Known as the ‘runner’s high’ this feeling of improved mood is immediate unlike many other health benefits that can take weeks or months to benefit from. - Reduced feelings of stress: Had a hard day at the office or caring for children or elderly relatives? Then lacing up your trainers and heading out to the gym can really help reduce your stress levels. Being active helps to reduce feelings of stress and tension as your body is better able to control cortisol levels. - Clearer thinking: ‘Running clears my mind’. Many people find that being active helps to break up racing thoughts. As your body tires so does your mind, leaving you calmer and better able to think clearly. - A greater sense of calm: Simply taking time out for yourself to be active can give you space to think things over and help your mind feel calmer. This is increased when being active outdoors with over 90% of people reporting increased mood having been active in open spaces. - Increased self-esteem: When you start to see your fitness levels increase whether it is going further or faster and achieve your PB (personal best) and your body improve (whether it’s your clothes becoming baggier or feeling firmer), it can give your self-esteem a big boost. The sense of achievement you get from learning new skills and achieving your goals can also help you feel better about yourself and lift your mood. Improved self-esteem also has a protective effect that increases life satisfaction and can make you more resilient to feeling stressed. - More energy: As your body adapts to increased activity levels you get a natural energy boost, which can make you feel less tired. Researchers say that even low intensity levels of activity can be beneficial if you usually feel very fatigued. - Improved sleep: Many people find they are able to sleep better at night after having been more active during the day, and sleep plays a key role in managing your mental health. - Social benefits: Being physically active with others can have even greater impact as it provides an opportunity to strengthen social networks, talk through problems with others or simply laugh and enjoy a break from family and work. The impact of social support was one of the key findings of our Get Set to Go programme research. Q. We've always known this but why has this concept flourished in recent years? A. There are a number of sector and societal factors that have both raised awareness and public consciousness. Celebrities talking about the relationship between physical activity and mental health in the media has raised the profile of how physical activity can be one tool in your self-care toolkit. The 'Heads Together' campaign spearheaded by The Duke and Duchess of Cambridge and Prince Harry aims to change the national conversation on mental health from one of stigma and fear to one of support. 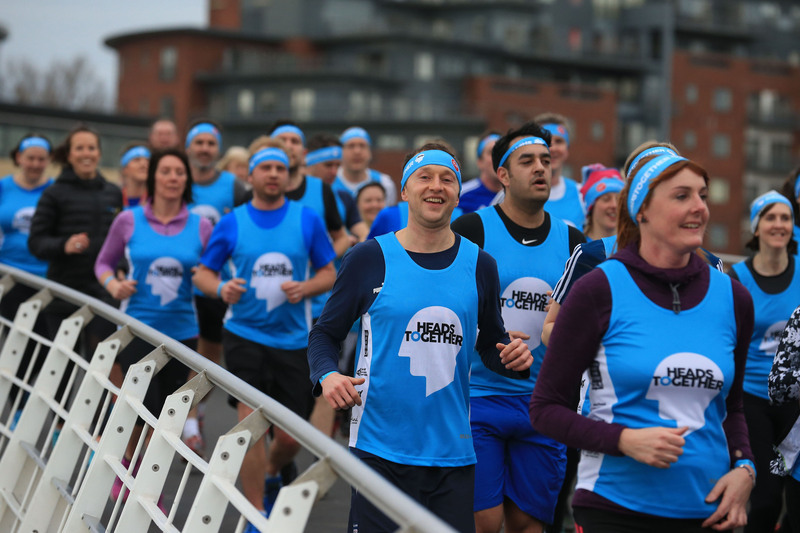 Heads Together was the charity of the year for the 2017 Virgin Money London Marathon – the first ever mental health marathon which brought together inspirational charity partners including Mind that have achieved great progress in tackling stigma, raising awareness, and providing vital help for people with mental health problems. This firmly launched the relationship between mental health and physical activity and helped provide a platform to showcase the work of Mind and Sport England through the Get Set to Go programme to the general public. Coupled with a range of celebrities talking, blogging and writing about the impact of physical activity on their mental health from Harry Judd (Get Fit Get Happy), Bryony Gordon - with her mental health mates’ walking groups - through to Fearne Cotton; they have all helped to reinforce how physical activity supports their mental health recovery. An increased evidence base has also helped to reinforce the message that being active supports your mental health. This includes Loughborough University (2017) independent research of Mind’s Sport England and National Lottery-funded Get Set to Go programme and the Lancet report (2018) research into 1.2million people. This has captured the attention of academics and the media with outlets such as the BBC highlighting the impact of being active to wider society. Another major step forward was mental wellbeing being included by the Government as one of five key outcomes in the DCMS Sporting Future strategy launched at the end of 2015. This was the first time the sector has been asked to report on the wider benefits of physical activity. Earlier the same year, the Sport and Recreation Alliance, Professional Players Federation and Mind launched the Mental Health Charter for Sport and Recreation which now has more than 350 signatories from across the sport and physical activity sector, raising awareness of physical activity as a preventative measure and a tool to support recovery. Over the last four years mental health has firmly become everyone’s business with growing interest across all sectors and with the sport sector leading the way. The fourth anniversary of the Charter will take place on March 25. Q. When we talk about sport in this context, do we really mean physically activity? And if so, are there risks attached to using the word 'sport'? Q. Tell us about some of the partnerships which Mind has created in recent years. A. Since launching Get Set to Go in 2015 we have established a wide range of partnerships from across the sport, physical activity and health sectors with more partners looking to us for best practice on how to support people with mental health problems in their activities. - England Athletics launched #runandtalk in 2016 actively encouraging clubs and running groups to recruit mental health champions and ambassadors to provide local support to get people running for their mental health and to start talking about mental health in the running community. Based on learnings from our peer support models we have worked together to encourage more people into running groups and to help people maintain their activity levels when their mental health takes a dip. We also partnered on a campaign for the 2017 World Athletics Championships called #17minutesforme to encourage more than 10,000 people to become active for their mental health through influencers, physical activity programmes and tips along with short educational content on the mental health benefits of activity. - We initially partnered with UK Coaching in 2015 to develop learning for the sport and physical activity sector to better understand mental health and to support them to feel more confident both talking about mental health and including people with mental health problems in sessions. Since 2016 Mind has delivered the ‘Mental Health Awareness for Sport and Physical Activity’ training course to over 1,000 physical activity professionals with support of UK Coaching. 81% of respondents to Loughborough University research agreed or strongly agreed that their knowledge of mental health had improved following the training. This was maintained at the six-month follow-up (83%). 84% of respondents agreed their attitude to mental health has changed, with 81% reporting they had used the knowledge from the training course. This spring with UK Coaching, 1st4Sport and Sport England we will launch an eLearning course to reach more people from across the sector. 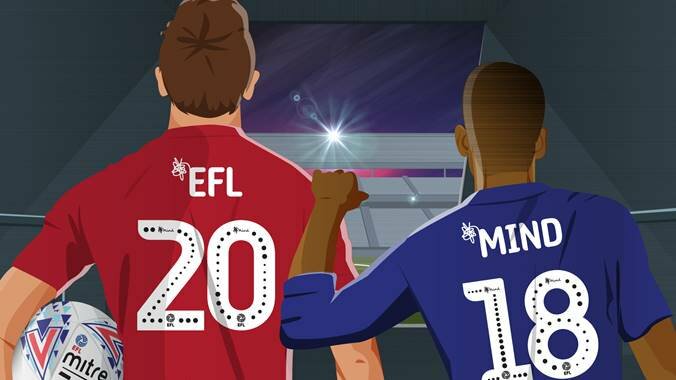 - At the start of the 2018/19 football season Mind was named as the English Football League (EFL) charity partner for the next two football seasons. With over 21million fans attending EFL matches each season (and 55 million watching on TV), this partnership is a brilliant opportunity for us to promote awareness and understanding of mental health amongst football fans, and to help more people living with mental health problems access the support they need. Together with the EFL, we will harness the power of football to raise awareness of mental health, improve the approach to mental health in sport and raise funds to deliver life changing national and local support. - For Moving Medicine we worked with the Faculty for Sport and Exercise Medicine, Sport England and Public Health England in 2018 to develop resources for health care professionals to give brief physical activity advice to patients experiencing depression (included in NICE guidelines as a treatment for mild-moderate depression). 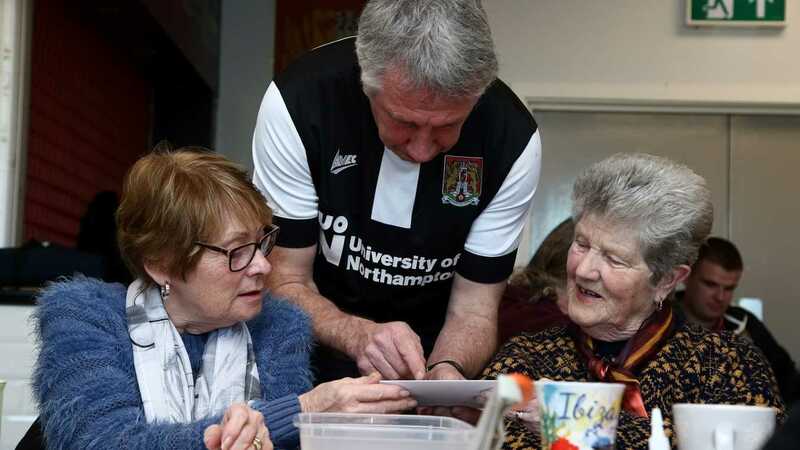 Using learning from Get Set to Go and insight from co-design sessions with people with lived experience of mental health problems, we helped to shape the messages to support more people to become active. Q. What are the overall aims and objectives of these partnerships? A. Our partnerships are always defined by our vision ‘We believe sport and physical activity should be used to build resilience, to support and enable mental health recovery and to tackle stigma and discrimination’. Our objectives are simple and weave through all of our sport and physical activity programmes and partnerships. - For people with mental health problems: we want to support more people with mental health problems to become and remain physically active and to use sport for social good to raise awareness of mental health with audiences that traditionally do not access mental health services. - For the sport and physical activity sector: more sport and physical activity providers to become equipped with the skills to support and engage people with mental health problems in physical activity and to become better able to support their employees with mental health problems and improve their policies and practice around mental health. We deliver a range of events, networking opportunities and an e-newsletter. I would encourage everyone to check out the wide range of toolkits, case studies and reports that are available on our website mind.org.uk/sport or you can follow @MindCharity and the hashtags #GetSetToGo #OnYourSide on Twitter. Join us for the Sport for Development Coalition's Twitter takeover with Mind on Monday, March 25 (8-9pm), hosted by @ConnectSport.